PILOTS BESTS: Most strikeouts in a game (11); most earned runs (99); most home runs (29). HONORS: American League All-Star 1971. 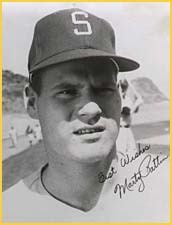 FACT: Marty struck out 22 batters in a game while playing for Eastern Illinois University.